For those miffed about the Range Rover Velar’s lack of a V8 option at launch, be miffed no more. 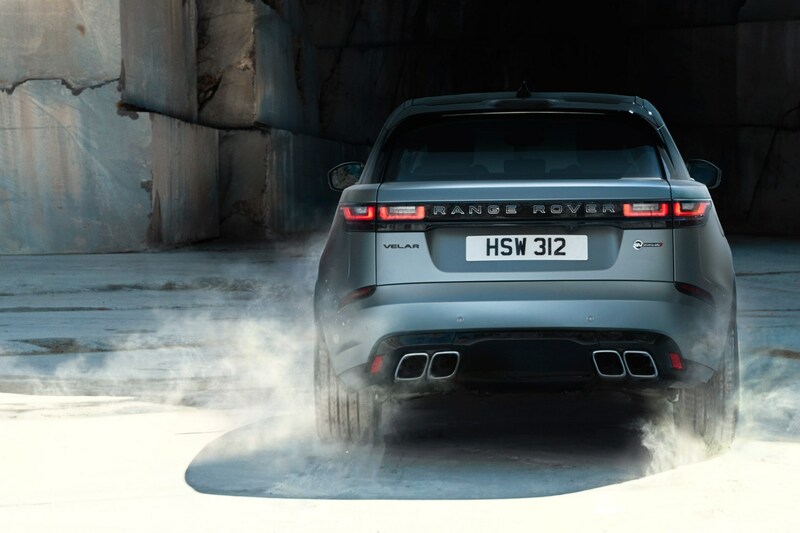 This new Velar SVAutobiography edition is powered by JLR’s classic supercharged sledgehammer, not long for this world. 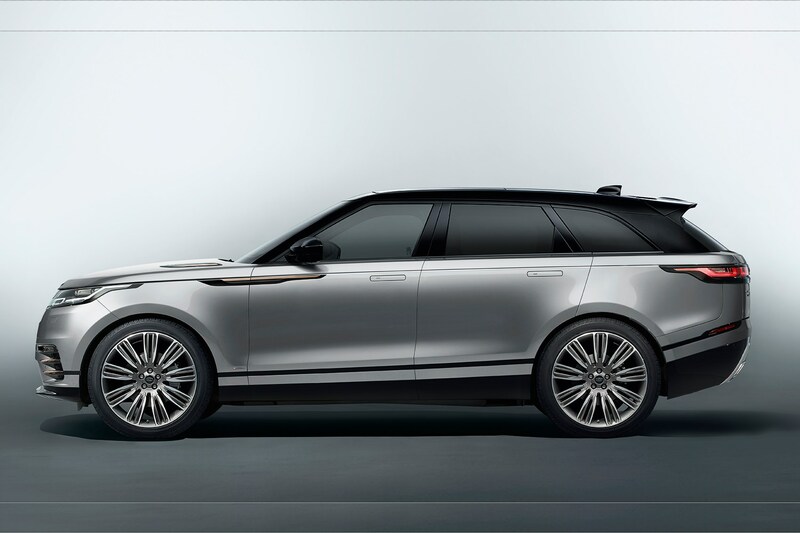 Yes, you read that right, it’s a clunkily-named SVAutobiography Dynamic Edition - like the ultimate fast Range Rover, not an SVR like the Premier League footballer’s favourite version of the RR Sport. In the Velar SVA, that 5.0-litre supercharged V8 cranks out 542bhp and powers the mostly-aluminium SUV to 62mph in 4.5 seconds and tops out at 170mph. It's seriously quick. The SVA also benefits from uprated brakes, forged aluminium wheels and a Variable Active Exhaust System to keep that V8 in check or let it roar, depending on your need to shout. Tweaks to the all-wheel drive system, air suspension and eight-speed auto have been made to handle the power and there are a couple of subtle visual clues, too. 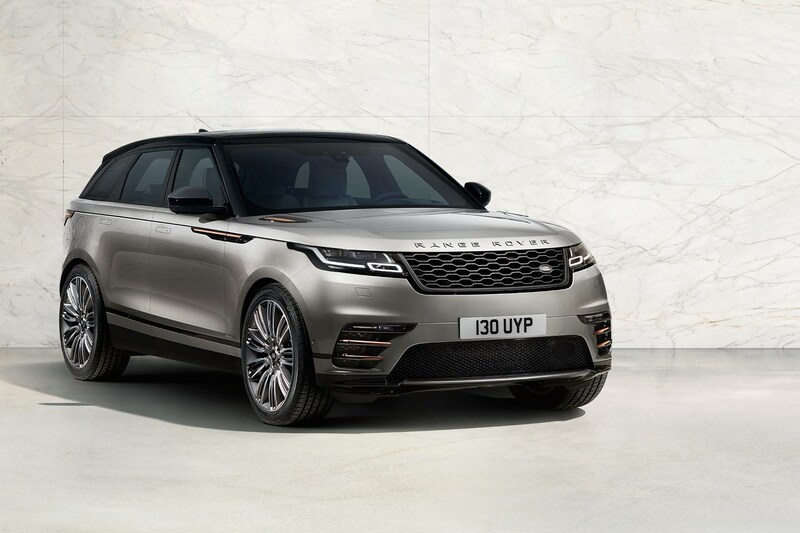 Regardless, if you’re interested, you have a year to put at least £86,120 down on the new Range Rover Velar SVAutobiography Dynamic Edition. Keep reading for what else we know about the Range Rover Velar. Meet the fourth Range Rover model, the Velar. It took 35 years for the brand to double up to a second model, now here’s the second new family member this decade. Velar slots into the range between the Evoque and Sport, and will steal sales away from the BMW X6, Porsche Macan and, inevitably, its closely related sister car, Jaguar’s F-Pace. 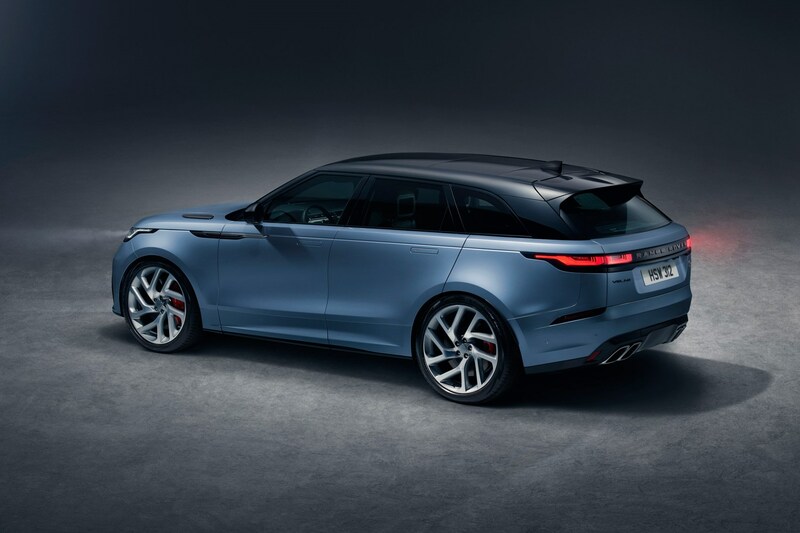 For Velar has much in common with the Jag, including four-, six- and now eight-cylinder engines, an aluminium architecture with a shared, 2874mm wheelbase and integral link rear suspension. 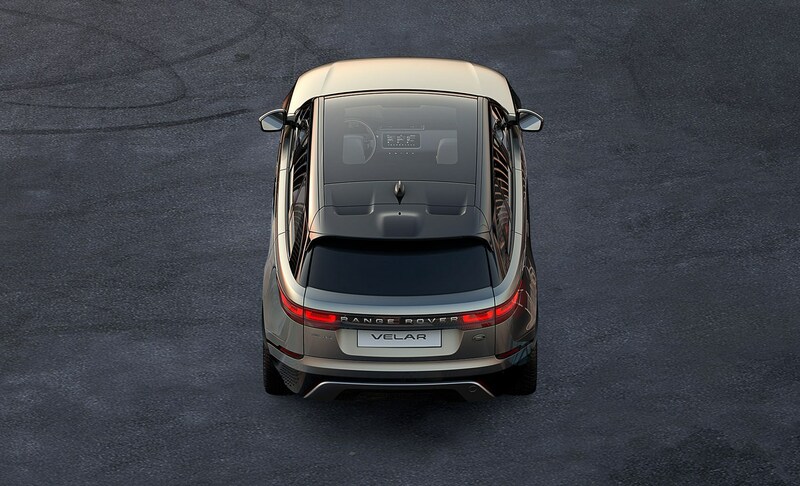 The Velar diverges with its modernist take on Range Rover design cues, a cutting-edge cockpit, and high tech features including retractable door handles and slimline matrix-laser LED headlamps, which can shine a 550-metre path of light ahead of you. 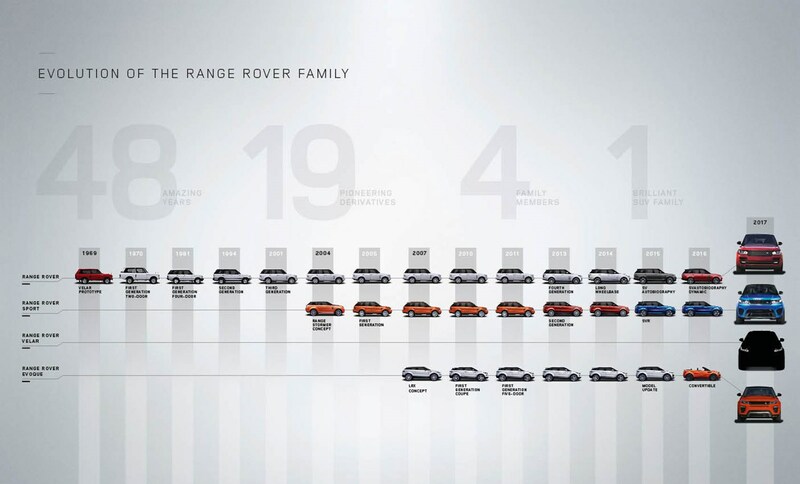 The most car-like Range Rover ever? ‘Velar is the most car-like Range Rover so far, but no less capable for it,’ says Gerry McGovern, the company’s chief creative officer. On road, the car is rear-wheel drive most of the time. But if you’ve a heavy right foot off the line or slip is detected for other reasons, a computer-controlled transfer case, wet clutch and chain drive can instantly send torque to the front axle. A standard torque vectoring system gently brakes individual wheels too, to help nip understeer in the bud, and boost traction in snow or mud. 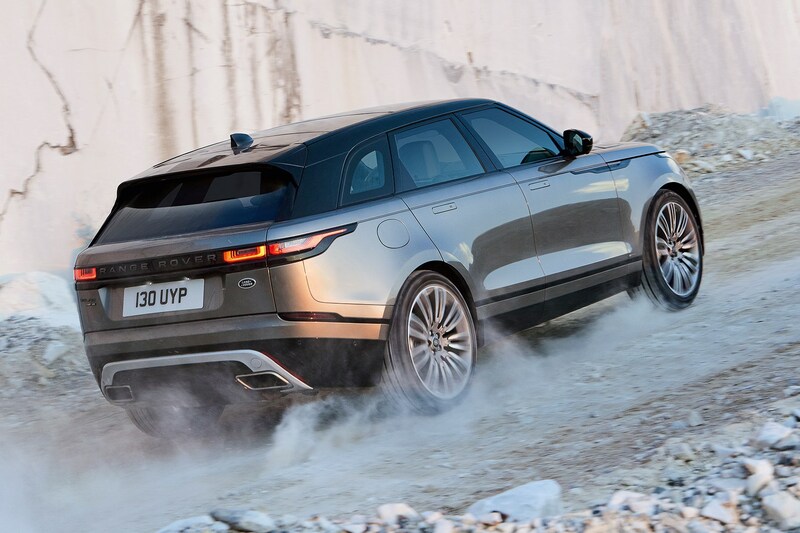 There’s also a locking rear differential, standard on the V6 models, which can shuffle torque between the rear wheels to maximise traction out of fast corners – or, more conventionally, help the Velar haul itself out of sticky situations off-road. But this car is pitched as the most dynamic Range Rover model yet. ‘Velar is at the upper end of the Range Rover spectrum for steering precision and agility, but with the brand’s recognised ride comfort,’ says vehicle line director Kevin Stride. 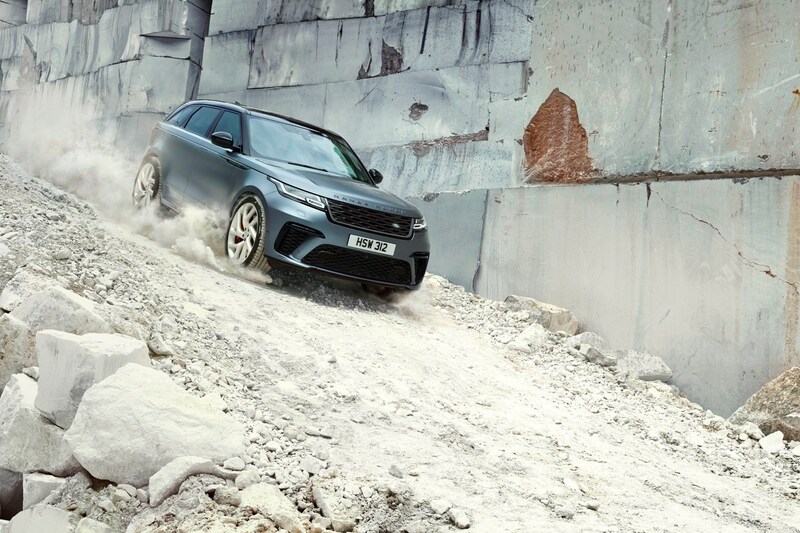 Mandatory adapative damping helps broaden the Velar’s ride capabilities, while cars with configurable dynamics can alter their feel with a mix of powertrain, steering, throttle and shift maps. Does this mean Range Rover is going soft? Of course not, this is an SUV from the green oval after all. The coil sprung four-pot Velars have a proud 213mm of ground clearance; specify four-corner air springs (on higher output fours and standard on the V6s) and this increases to 251mm. Air suspension provides a gamut of ride levels: subterranean access mode, lowered for highway cruising and two off-road heights. The Velar can wade in up to 650mm of water, and its approach/breakover/departure angles are 28.89˚/23.5˚/29.5˚ – a few degrees off a Range Sport’s. 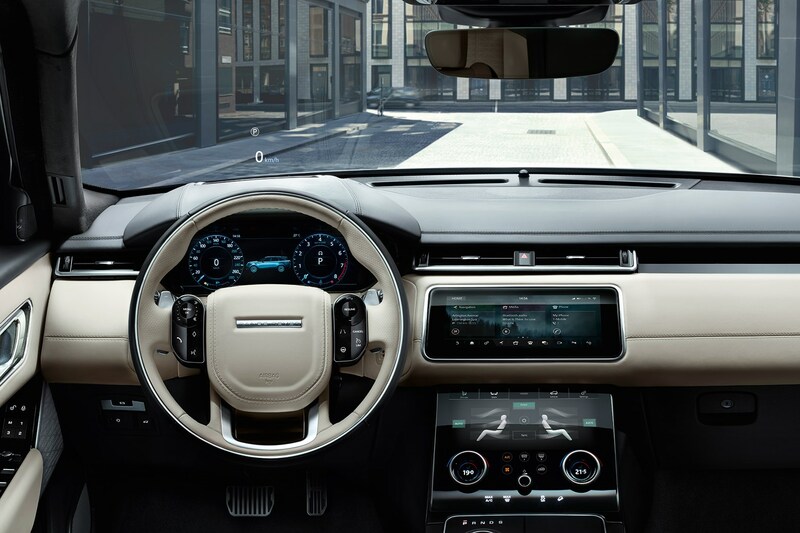 Familiar Land Rover tools include Hill Descent/Gradient Release Control to keep things measured when you’re driving up or down inclines, while Jaguar’s All Terrain Progress Control acts like a low-speed cruise system to assist during off-roading. Terrain Response, which optimises the drivetrain for off-road conditions including wet grass, sand and mud/ruts, is standard; adding Terrain Response 2 will automate selection of these drive modes. Not that you’ll find a Terrain Response dial or button in the cockpit – Velar is all about pared back modernity. The central dashboard is dominated by two 10-inch screens, which combine to offer control of all functions. The gently curved upper screen, which can be tilted forwards by 30˚, accesses frequently used menus such as navigation, phone and media (as well as the latest news and weather). Operation is by swipe, pinch and zoom, and pressing icons. The lower screen is for less well-travelled paths, such as climate control and Terrain Response, with the big rotary controllers’ function linked to whatever menu you’re accessing, such as adjusting cockpit temperature. 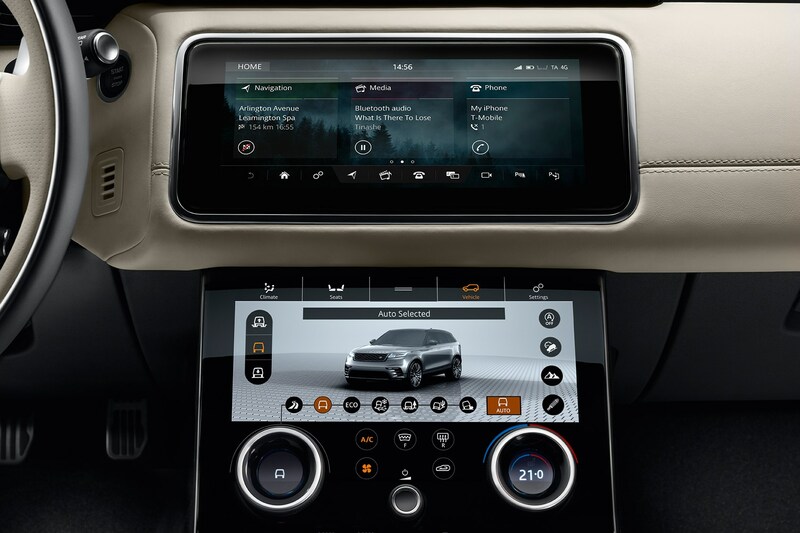 JLR calls this twin screen approach Touch Pro Duo, and keen eyed users will recognise it from Jaguar’s i-Pace concept, which confirms this HMI isn’t just Land Rover’s baby. ‘It’s graphically rewarding and easy to use,’ says Kevin Stride. ‘And it supports design’s vision of getting rid of buttons and switches.’ Amen to that. The driver’s instrument panel features a 5-inch screen between two analogue dials; these are digitised in a 12.3-inch digital screen on SE grade and above. The Velar is connected by a 4G SIM, offering location services including find a filling station and fuel prices, share your whereabouts and navigation that learns your routine and flags up congestion. Tribes will also be able to connect up to eight devices to the car’s wi-fi hotspot. Aside from the beautiful simplicity which will catapult the company's HMI forward, the other breakthrough is the option of a tactile material by Kvadrat. Commissioned by furniture makers including B&B Italia and Herman Miller, Land Rover’s textile is a 30% wool and 70% polyester blend – if it was 100% wool its humidity could cause condensation. ‘Some people don’t want leather anymore,’ reports Gerry McGovern. ‘There are materials that do a better job without having to slaughter animals.’ Not every customer is so progressive: leather remains the alternative top spec trim to Kvadrat's though. There’s plenty of passenger space in the 4803mm-long Velar, and the boot can accommodate up to 632 litres of cargo. 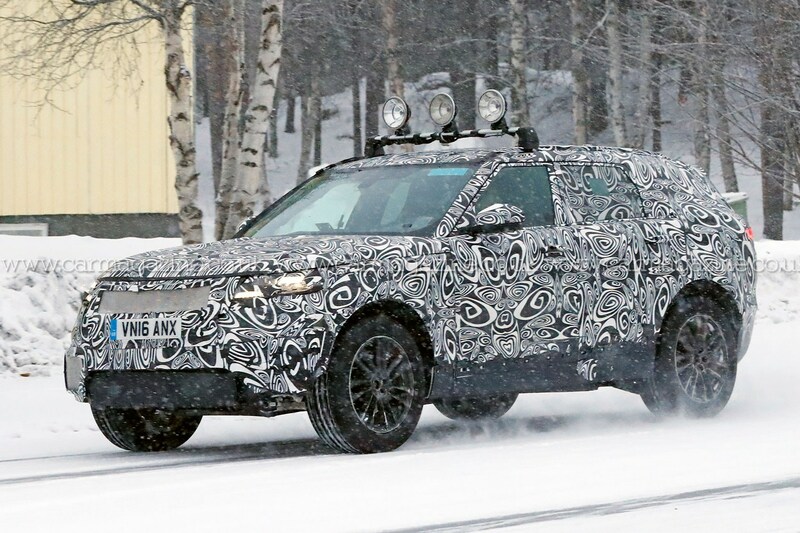 Land Rover previewed Velar by driving it into its Gaydon viewing compound where a Range Rover, Sport and Evoque were parked. 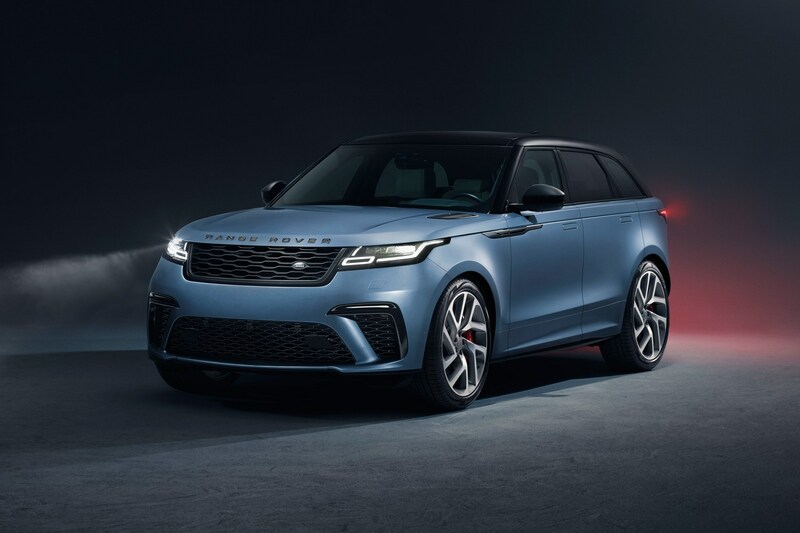 The new car’s floating roof, continuous beltline and macho proportions are pure Range Rover, but the ultra-clean surfacing, slimline lamps, raked roofline and moment of concept car magic – retractable door handles – instantly age its stablemates. The door handles, which you animate by pressing the key fob or a handle button (Land Rover didn’t want them popping in and out unprompted, Tesla-style), also have a functional benefit: smoothing airflow to help the Velar bag a 0.32 coefficient of drag. 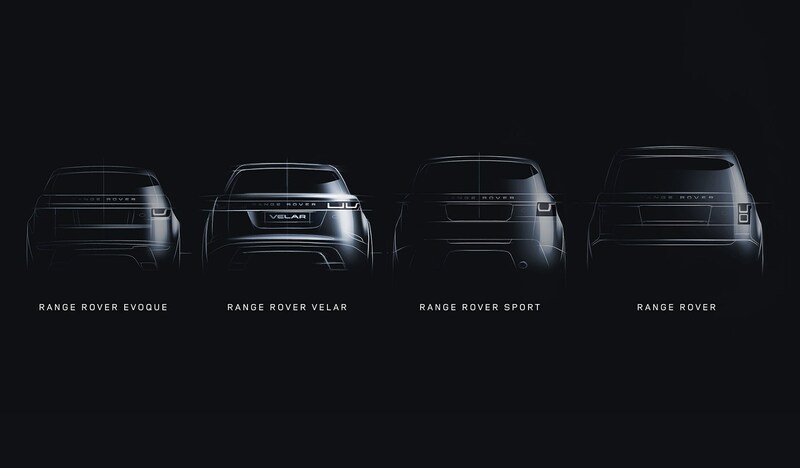 ‘It’s the most aerodynamic Range Rover, due to the way the form has been sculpted. It’s a masterclass in design reduction: the flush door handles, slim LED lighting, there’s no detail that doesn’t need to be there,’ says McGovern proudly. 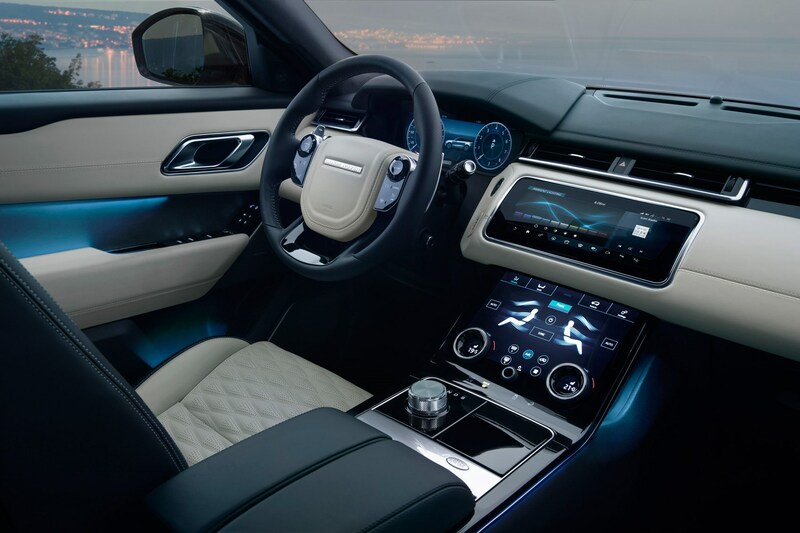 Naturally customers will be able to customise their Velar’s exterior. Opt for R-Dynamic to get a more aggressive front bumper, unusual copper vent detailing and a black roof. Black and premium packs are also available; wheel sizes span 18- to 22-inches. Land Rover promises the Velar can tow a load of up to 2500kg. And it ticks the important safety boxes with Autonomous Emergency Braking, adaptive cruise control with queue assist, traffic sign recognition and piloted parking. And the name? It’s pronounced with a short 'V' sound, as in the textile ‘velour’. 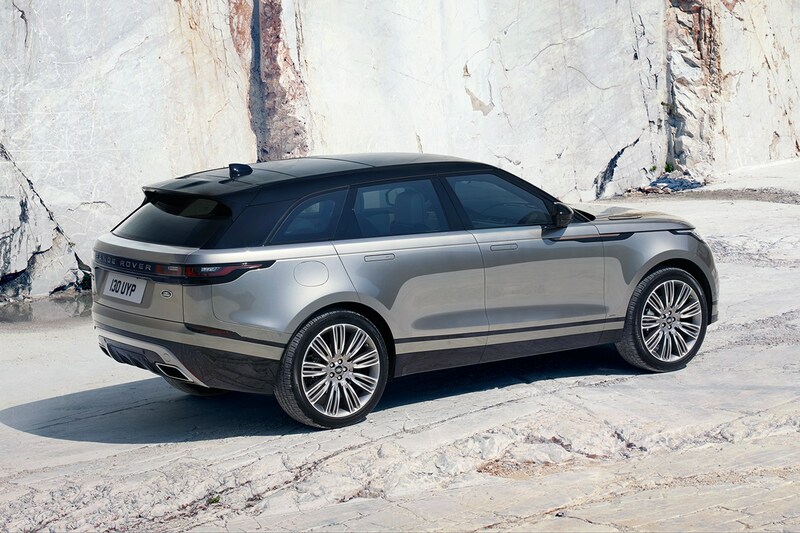 It means to hide in Latin, but it also has a special place in Land Rover history – Velar was the nickname for 1969 prototypes of the original, two-door Range Rover. The Range Rover Velar is on sale now, priced from £45,135. 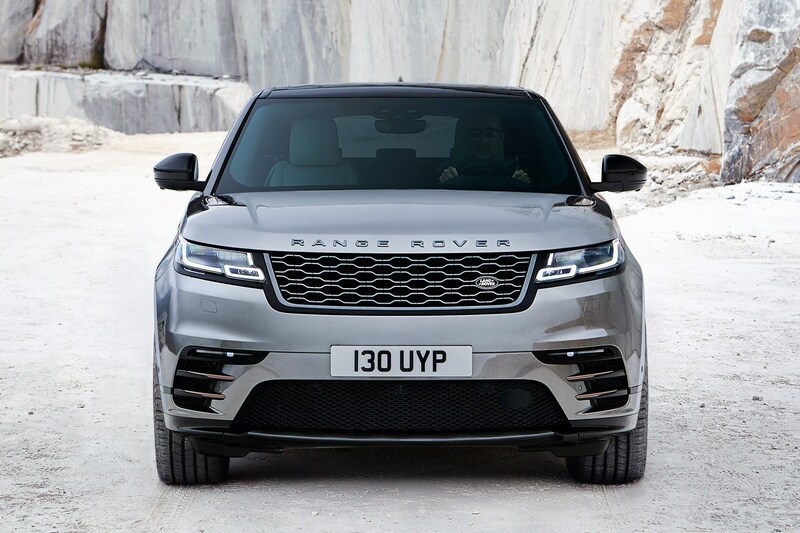 The price tops out at the SVAutobiography Dynamic Edition available for 2019 only, at £86,120.